Are you planning to remodel your kitchen in Hyde Park or any surrounding South Tampa, Florida, neighborhood? If so, turn to KitchenAlity for fine products, top-notch installation services, and the kind of customer service that’s hard to come by these days. We take a personalized approach to kitchen remodeling, and we seek to provide you and your family with a kitchen you’ll enjoy for many years to come. What really separates KitchenAlity from other remodeling firms in the area is that we are a State of Florida licensed contractor. 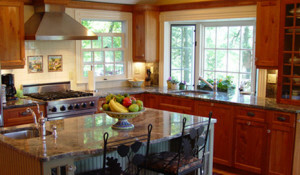 That means that we can not only remodel your kitchen, but ensure that it is done so in keeping with building codes. And, where many others cannot, we can make all necessary updates to your plumbing, electrical wiring, and duct work. For additional information about KitchenAlity and how we can remodel your kitchen in Hyde Park or any surrounding part of Tampa, FL, please contact us today for an in-home consultation with a member of our professional team.